Battlehooch is a band of varying degrees of rambunctious excitability: the life of the bonfire, the street act that causes traffic, a crowd attractant, the spontaneous living event whose faces wind up on anonymous Flickr pages and blogs. 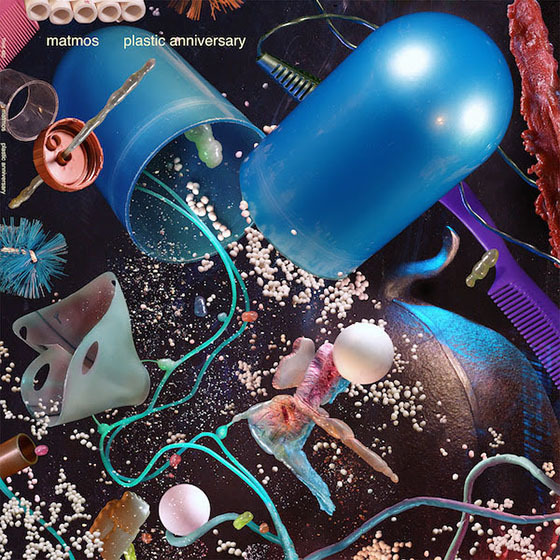 Their album, Piecechow, is a tireless and goofily progressive vagabond bonanza, indicative of the kind of live show they put on. It’s fun; it’s fast; it’s odd; it’s the kind of quirky parade of jubilation that almost dissolves the line that typically delineates “band” from “performers.” You can imagine madmen on elevated unicycles juggling machetes to the music herein. It really is a party for its allotted playtime. Battlehooch Plays L Train and Classic Clowns at the Vulcan Lofts 8-6-08 from Battlehooch on Vimeo. With big band chaos aplenty, “The Special Place” is Piecechow’s adrenaline shot, shouting out Devo style amidst honking honks and hooting hoots. Following is the cracked-out Duke Ellington brass instrumental, “Chuur,” whose quivering exhalant blasts resonate atop the song’s otherwise funk-laden beat-drop. “Take The L Train” is gypsy Beefheart meets Paul’s Boutique, a street beat and woodwind prancing like one-legged Ian Anderson and a lasting guitar tone that sounds something like The Guess Who. Consider Battlehooch a sponge, victims of their collective record collection and the obvious elation they feel toward what they do. Porch banjo (“Classic Clowns and Lords”), drum core militarism (“Fishmilkery/Fishmilk”), psych funk (“Please Damo”) and Arabic Queen (“Looks You Can’t See”), Battlehooch is a font of raw eclecticism that somehow seems unified under the band’s ambitious umbrella. 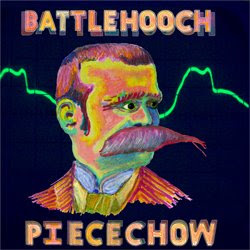 But, Piecechow, despite its lack of dead air, seems less a representation than a facsimile of Battlehooch and what they deliver. If there’s any drawback to their album, it’s that it probably misses the mark as far as what this band is capable of and what wonders a live show would behold. At least Piecechow doesn’t make the mistake of sounding professionally polished or sterilized: The benefits of DIY.